Ahhh . . . the magic of Christmas in the City! Especially if you're in New York City for the holidays: tantalizing 5th Avenue window displays, a brilliant tree lighting at Rockefeller Center, the Rockettes at Radio City Music Hall, a beautifully lit Empire State Building, and the Statue of Liberty watching all of the excitement unfold with gigantic holiday cheer. 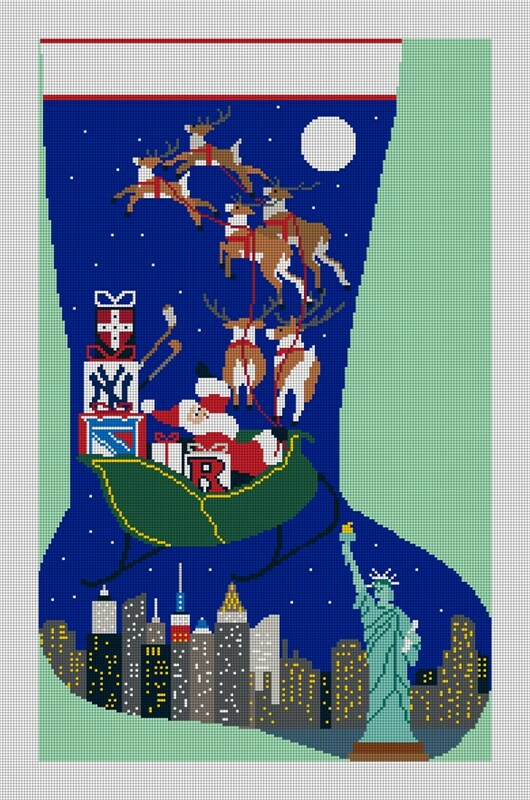 Create your own timeless Christmas tradition and stitch this fabulous needlepoint stocking for your mantle.